As maples and cottonwoods are turning yellow and dropping their leaves, salmon are making their way up the Skagit River to spawn. In the next month, migratory bald eagles will be working their way down from the far north for their winter vacation down here in the lower 48 states. 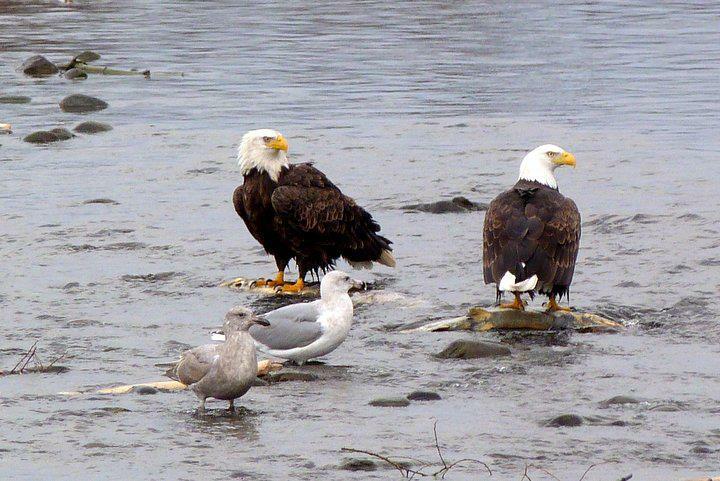 Given enough spawned out fish carcasses to feed on, a concentration of bald eagles will be here on the upper Skagit feasting on the river bars while conserving energy for the trip back to their nesting areas next spring. Eagles will travel to rivers throughout the region looking for areas with the easiest food supply, and rotting fish is a particular favorite. Which river will have the most fish and the greatest concentration of eagles this season? For years, the Skagit was king, with the largest fish runs and the most eagles. For the past few years, that distinction has gone to the Nooksack. We will have to wait and see what the salmon and eagles do this year. 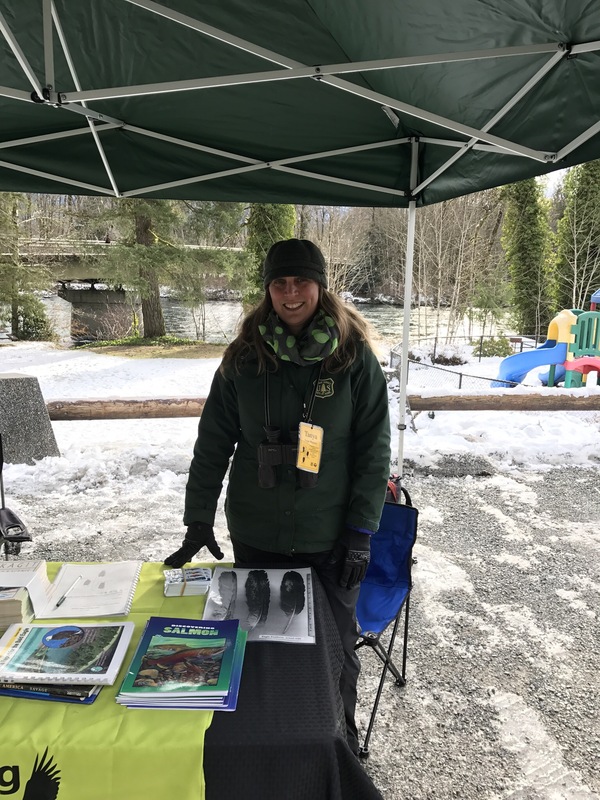 Eagle Watcher volunteers will be out in public parks here on the Skagit River on weekends beginning December 8th, scanning for eagles and offering the public an opportunity to view them close up through high quality spotting scopes and binoculars. 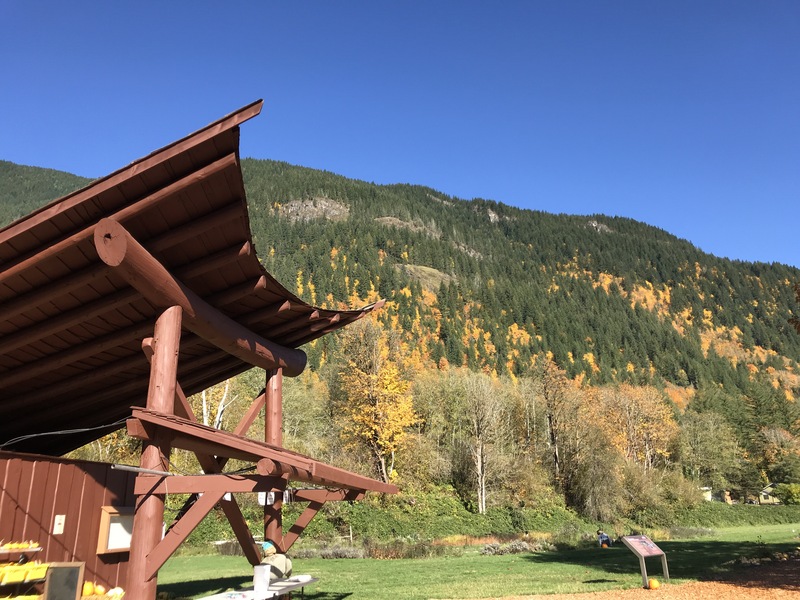 If you are making a winter trip up the Skagit, stop in Rockport at the Skagit River Bald eagle Interpretive Center, located at Howard Miller Steelhead County Park and at our eagle watching base outside in the day use area. We are happy to give you the latest info and get your questions answered.